For many, October is a month-long celebration of the macabre. Those less jazzed about ghosts, ghouls and goblins, however, prefer to avoid all things spooky – especially horror games. If the very thought of playing a horror game makes your hair stand on end, we’re here to help. 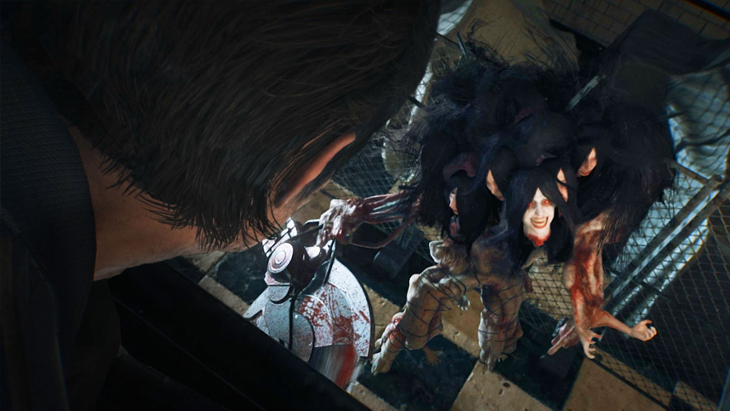 In addition to our survival tips and tricks, we’ve detailed our favorite methods to help soon-to-be horror fans cope with playing The Evil Within 2 – allowing you to gradually dive all the way into the experience without compromising any of the grotesque visuals, heart-racing action and blood-curdling moments fans of The Evil Within have come to expect. Not only can other people help keep an eye out for ammo, track enemies and parse through cryptic notes while you play, but having close friends to cheer you on also makes the horror experience more manageable. So, go make some popcorn and throw a Scary Game Night with some friends. Who knows, one of your besties may turn out to be a bigger scaredy-cat than you! 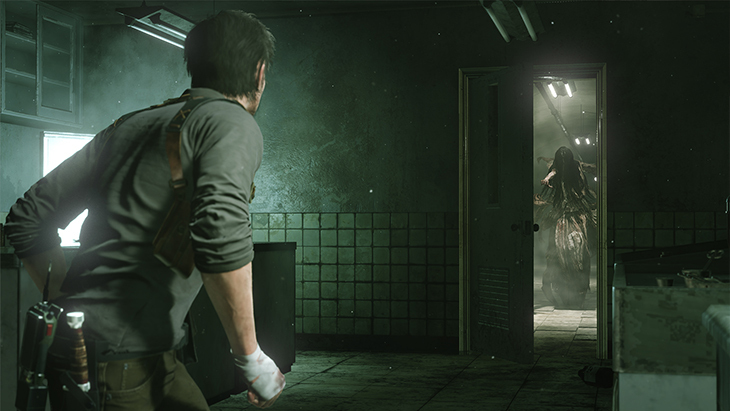 In The Evil Within 2, there are multiple ways to engage every scenario – including avoiding it altogether – if you play your cards right. Depending on which parts of The Evil Within 2 make your blood pressure spike the highest, you can lean into what you do well (or make up for where you lack) to up your chances of survival. Using Green Gel extracted from fallen enemies, players can tune up Sebastian with a suite of special abilities, boosted stats or passive skills suited to their preferred playstyle. Too afraid to confront foes directly? Consider investing in Stealth and Athleticism upgrades to help sneak around monsters or run away. Worried you’ll be torn to shreds? 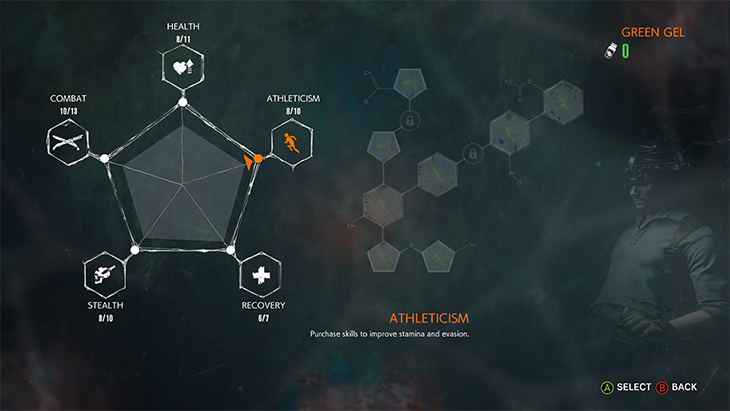 Buy Health and Recovery upgrades to improve Sebastian’s durability. Should you finally be brave enough to fight back, Combat upgrades and Weapon Parts amplify Sebastian’s arsenal, allowing him to deal more damage, shoot more accurately and much more. 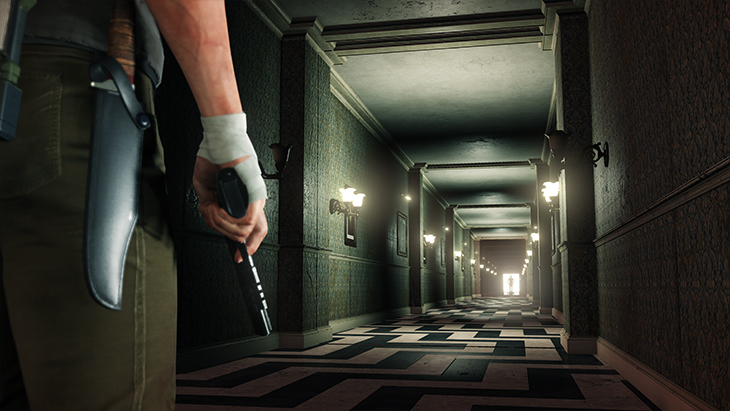 Throughout the game, The Evil Within 2 asks players to get comfortable with the darkness. However, that doesn’t necessarily apply to your living room. If you’re looking to ease your way into horror games, make sure you have enough light to see your surroundings. Seeing movement in the corner of your eye while playing is a lot less likely to cause a heart attack if you can clearly tell it’s a pet and not an uncanny monster from another realm. Breaking outside your comfort zone into a new genre can be challenging – especially if that genre is survival horror, where quick wits, a steady aim and smart resource management are essential to staying alive. For those who want to focus on the story and atmosphere of The Evil Within 2, there’s a Casual difficulty setting. Perfect for players who don’t want to get caught out of their depth, Casual dials down enemy damage and ups item pickups. Additionally, Aim Assist is offered for those having trouble keeping a steady bead on foes, and Sebastian starts off with the Bottle Break ability already unlocked, offering him a chance to counter enemy grabs if he has a bottle on him. This ability won’t work with every type of enemy, though, so you’ll still want to avoid letting your opponents get the drop on you. Even the most desensitized, hardened horror junkies can tire from extensive gaming, and newbies adjusting to unseemly sights are no different. It’s one thing averting your gaze from a monster for its terrifying design, and another when it’s due to bloodshot eyes. 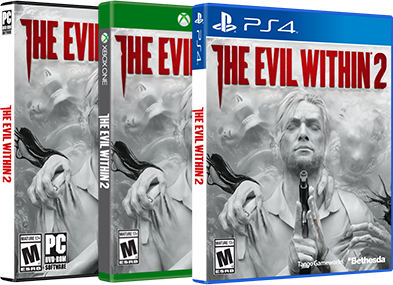 Even if you don’t plan on marathoning The Evil Within 2, taking a break is still recommended. Whether it’s to catch your breath, go watch a palette-cleansing cartoon, or just process whatever horrendous event you just experienced, taking a minute to find your center helps you keep playing without surpassing your ‘Nooope! Nope nope nope!’ limit. Your journey is a hike, not a sprint.